If you need a little lubrication, look no further. 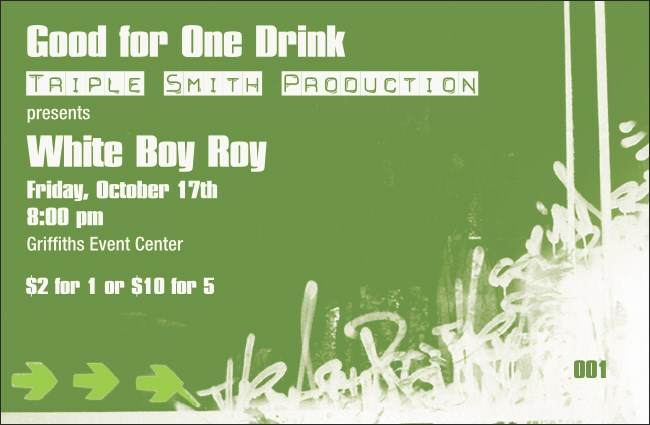 Our green and white Drink Ticket features funky graffiti art, and lets you treat your fans or sell drinks in advance. Whether your style is Champagne or Courvasier, help the night go down smooth with a Hip Hop Green Event Kit. For every occasion, there's a ticket from TicketPrinting.com.